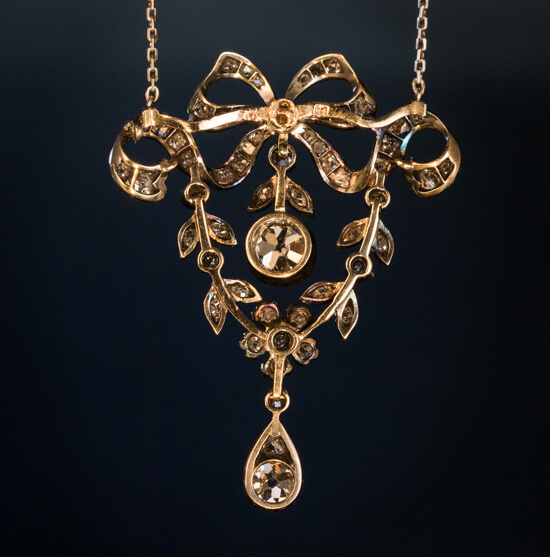 This delicate antique ribbon bow and garland motif pendant necklace is crafted in silver-topped gold (front – silver, back – gold). 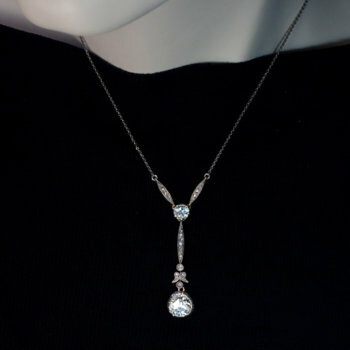 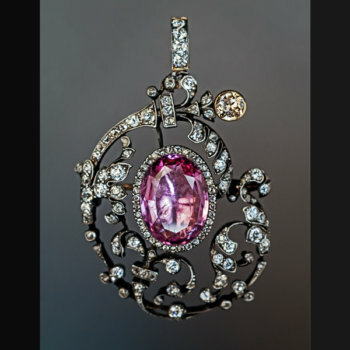 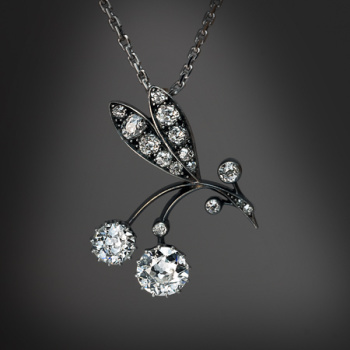 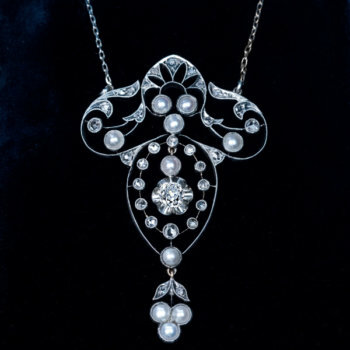 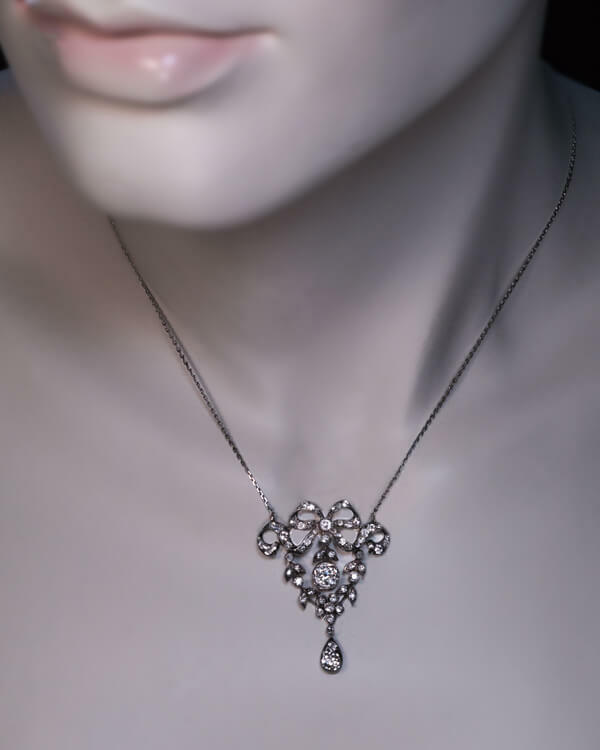 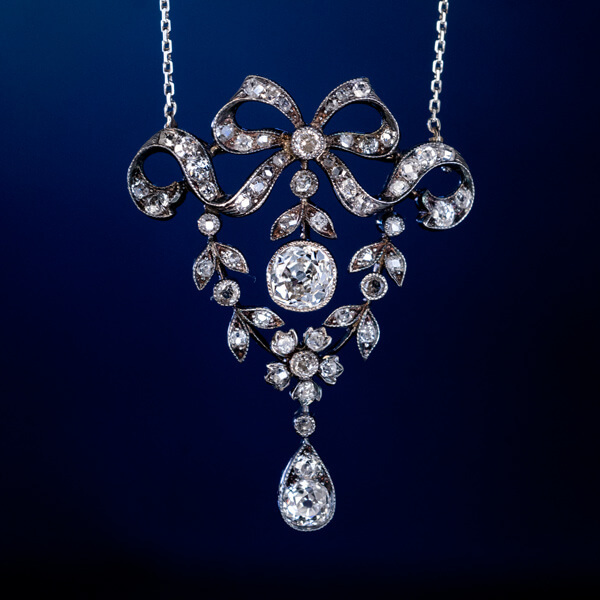 The necklace is embellished with various old cut diamonds: European, cushion, single, and rose cut. 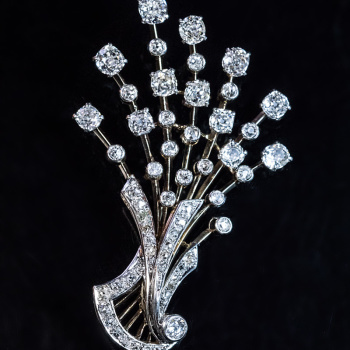 The principal diamond (in the center) measures 5.44 x 5.28 x 3.3 mm and is approximately 0.73 ct (H color, VS2 clarity). 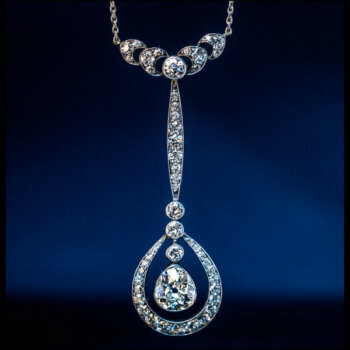 Estimated total diamond weight is 1.90 ct. 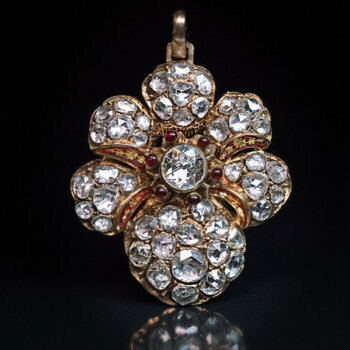 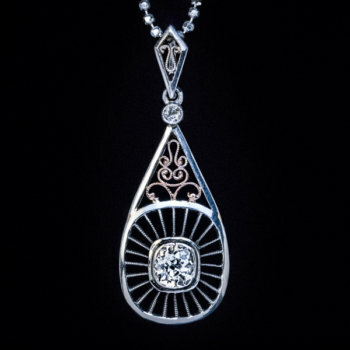 The pendant is marked on the back with maker’s initials.